A reticulation system is like a specialised irrigation system allow you to inject termiticide around your property at necessary locations to create a treated zone to prevent termite entry. These systems are tested and registered for this purpose as they need to emit a specific amount of chemical to ensure a complete and consistent treatment area. 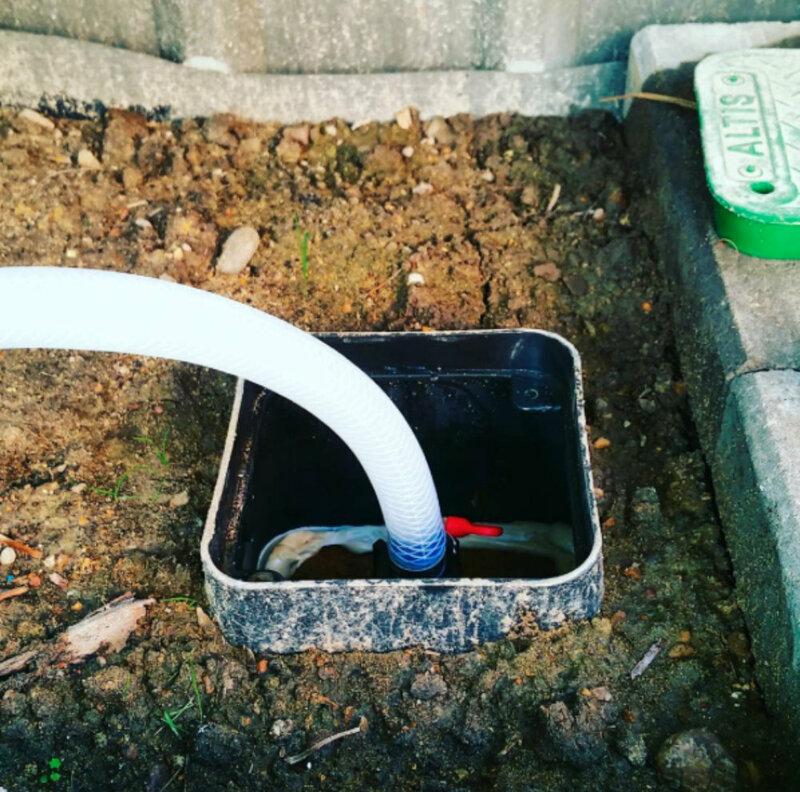 Typically, once the chemical is pumped through the system, it soaks the chemical around the footing of your property, right where termites could get it. Once the soil is treated with chemical, it becomes the "barrier" as it were to prevent undetected termite entry. Depending on the chemical, reticulation system and the prevailing conditions, it may not require re-treatment for years. What are the benefits of reticulation? Chemical is injected next to footings without disturbance - making it safer. No disturbance to concrete and services - No drilling or cutting concrete. The Systems are designed to work for many decades - meaning your termite management system upgrades as new chemicals become available. An Altis reticulation system - tested and ready to go! A reticulation system requires a pump up point, somewhere that can be easily located to inject the chemical into the system periodically. The location and spacings of these points can vary based on the system. Some systems require a pump up point to be located every 16 Lineal metres or less. Whilst others, such as this Altis system, can have pump up points located up to 100 Lineal metres apart! Although, typically they are located and lesser intervals. An Altis reticulation system being pumped up. Once completed, the reticulation system can be pumped up. This can be done when all paths and areas abutting the structures are completed. The benefit is that the chemical is introduced under paths and away from areas of human contact, making it a much safer treatment method. It's pumped in at a specified pressure, rate and volume to accomodate each particular system, that way the correct amount to protect the structure is used.